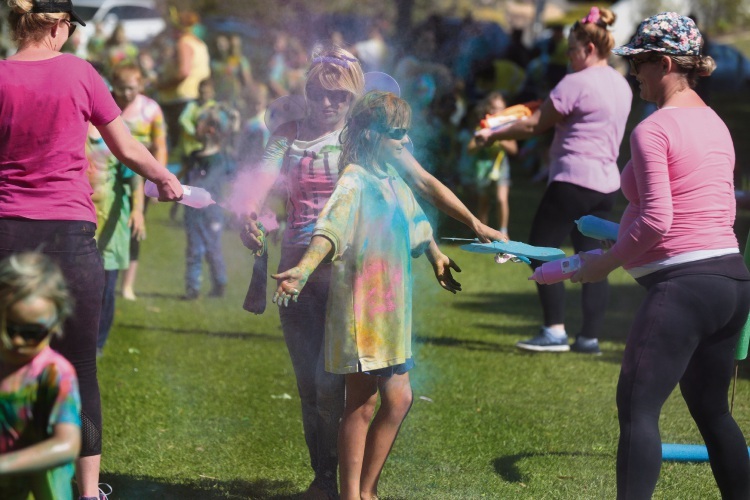 A COLOURFUL afternoon of fun raised about $4000 for a Heathridge school community this month. 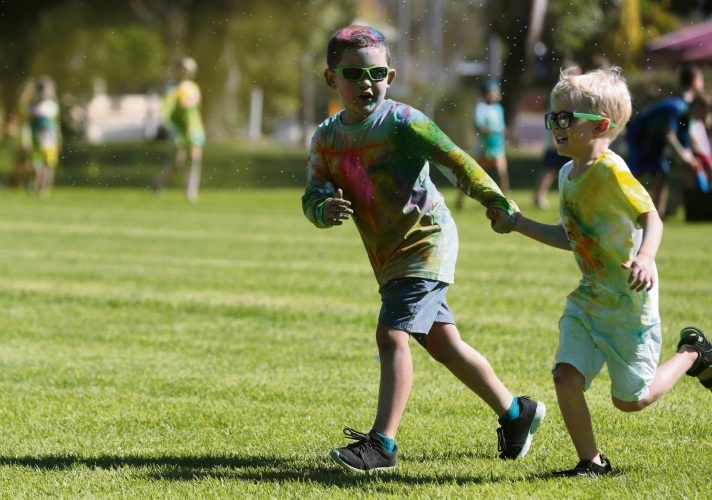 Poseidon Primary School P&C members Anna Albrecht and Terase McDonald organised the school’s first ‘Run for fun colour explosion’ on April 13, with parents volunteering to set it up, during the run and with the clean up. Miss Albrecht said the money raised would go towards updating and improving playgrounds and grounds throughout the school. 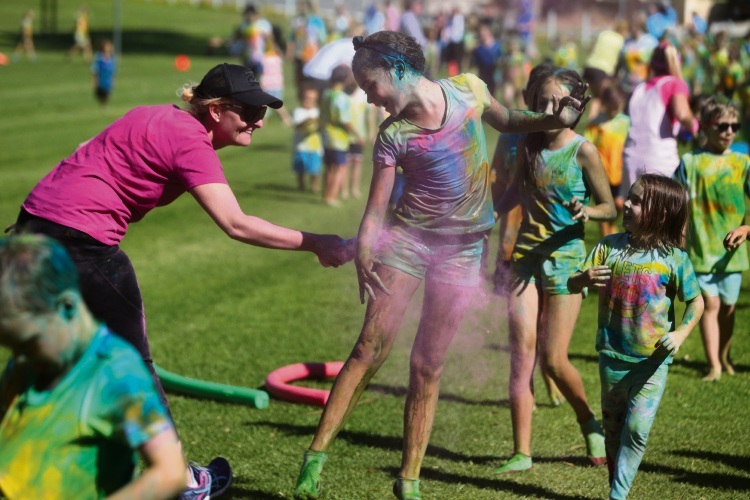 She said 300 students from the independent public school and the West Coast Language Development Centre participated in the fun run. “Station Officer John Gavranich and his team from the Joondalup (Fire and Rescue) brigade brought a fire engine and fire truck down,” she said. 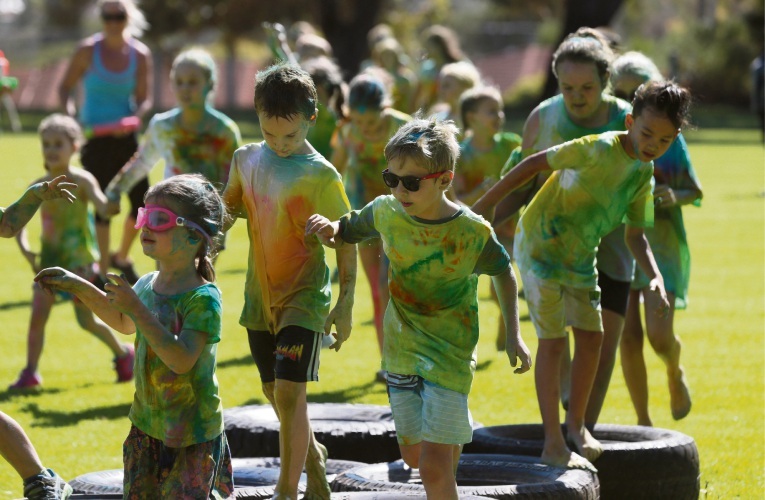 “After a loud and enthusiastic count down from the students, they started the run off with their siren, followed by the students running to the first obstacle – they sprayed water on them from their hose. “Senior Sergeant Peter Feast and his partner from Hillarys Police Station brought down a unit and got amongst it in the blue colour station. Miss Albrecht said the Commonwealth school banking mascot Addy cheered the students on and the Bunnings store in Joondalup donated 20 pool noodles.